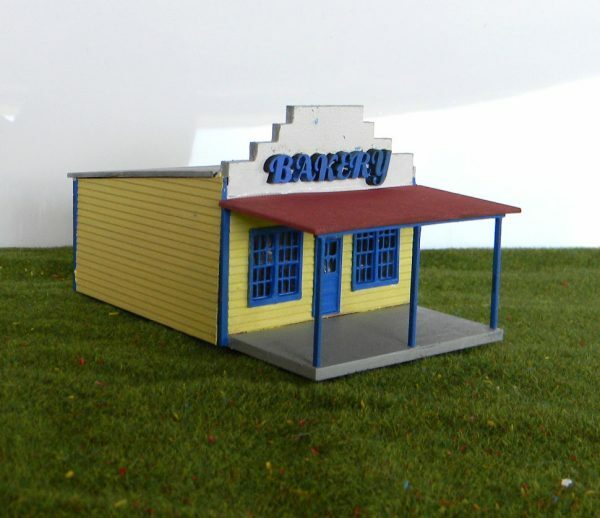 N 1/160 Scale Bakery shop building kit. Comes with step-by-step instructions. This building is very easy to put together with some PVA glue/Wood glue/thick Super glue is also suitable to use. 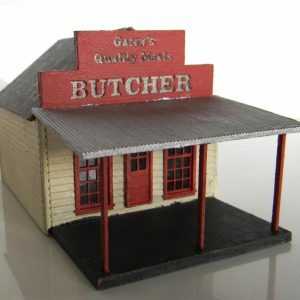 N 1/160 Scale Butchers shop building kit. 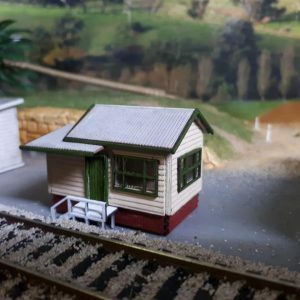 The first kit I attempted from Model Train Buildings after I purchased a few kits at the 2018 Liverpool exhibition. Went together so well. The only difficult part was deciding on the colours to paint and how much to weather the completed model. 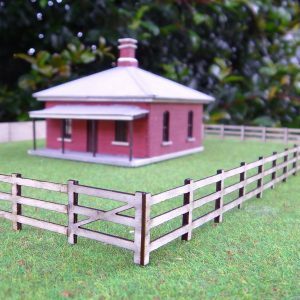 The other great thing is that there is some scrap timber left over from each kit – great for making up extra details. 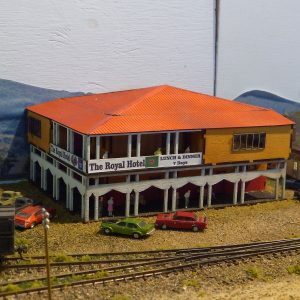 Thank you, I’m very pleased you have enjoyed building my kits.